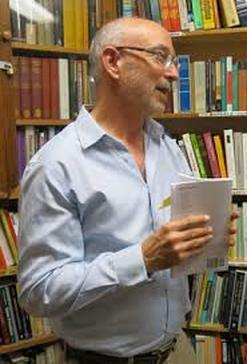 Zack Rogow is the author, editor, or translator of twenty books or plays. His most recent book of poems, Irreverent Litanies, was published in 2019 by Regal House. Rogow’s other books of poetry include Talking with the Radio: poems inspired by jazz and popular music from Kattywompus Press. His play Colette Uncensored (coauthored with Lorri Holt) had its first public reading at the Millennium Stage of the Kennedy Center in Washington DC in 2015; was performed at The Marsh in San Francisco/Berkeley in 2016–17, and in London at the Canal Café Theatre in 2018. Rogow is the editor of an anthology of poetry of the U.S.A., The Face of Poetry, from University of California Press. He has taught in several MFA creative writing programs, and serves as a contributing editor of Catamaran Literary Reader.